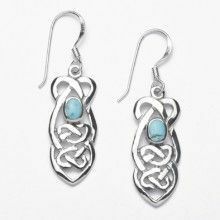 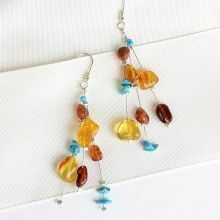 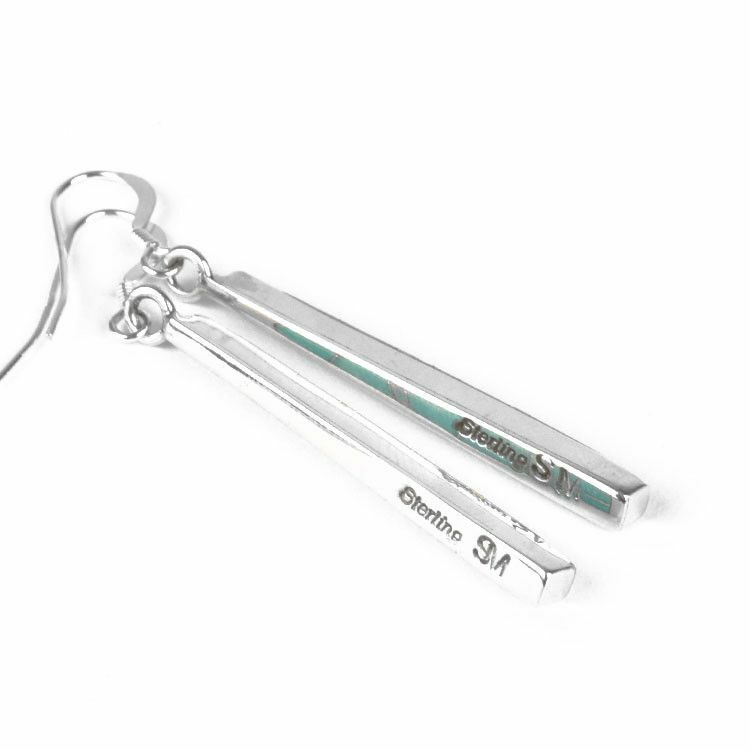 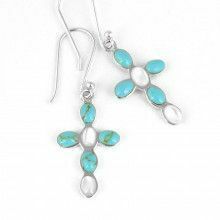 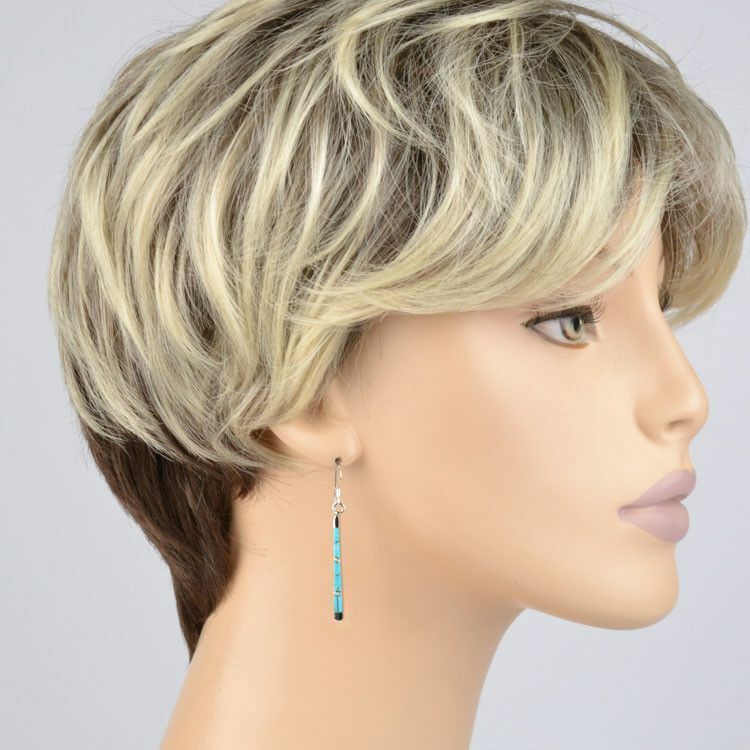 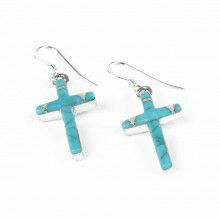 These long earrings (2" total length) are made up of turquoise with a little bit of opal, inlaid into sterling .925 silver. 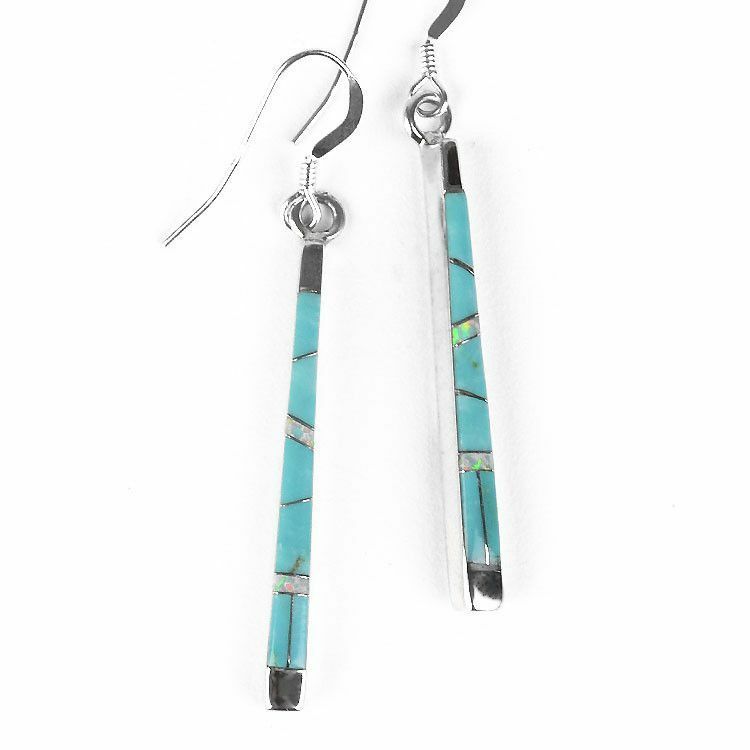 They have simple hooks and make a great accessory for any day. 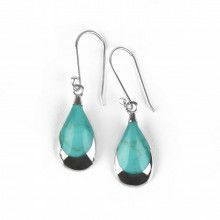 Lab created gems.